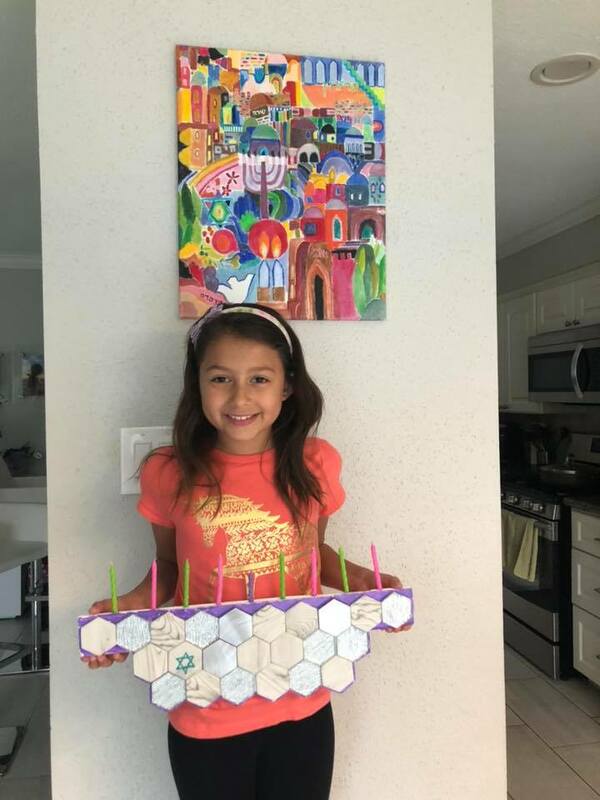 Over 100 Hebrew School kids from across the globe put on their creativity caps this past week, as they participated in the Chabad Hebrew School International Menorah Contest run by CKids. 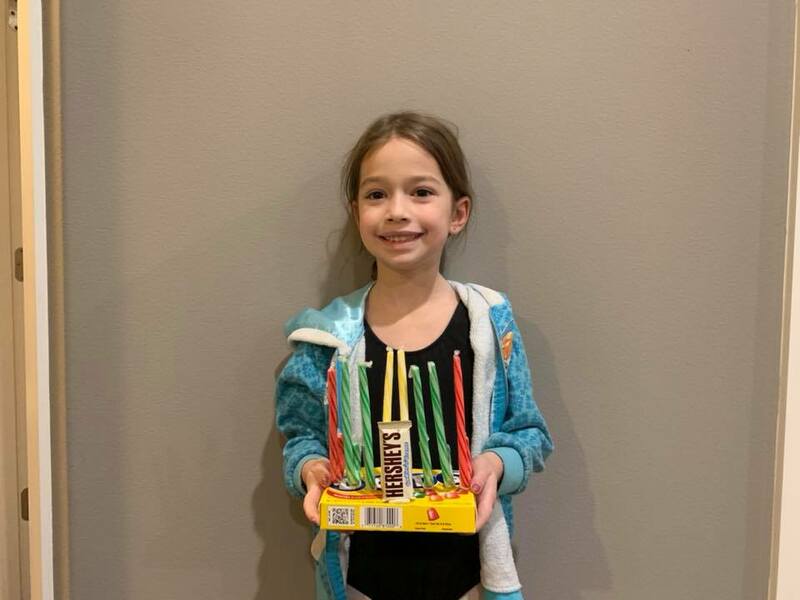 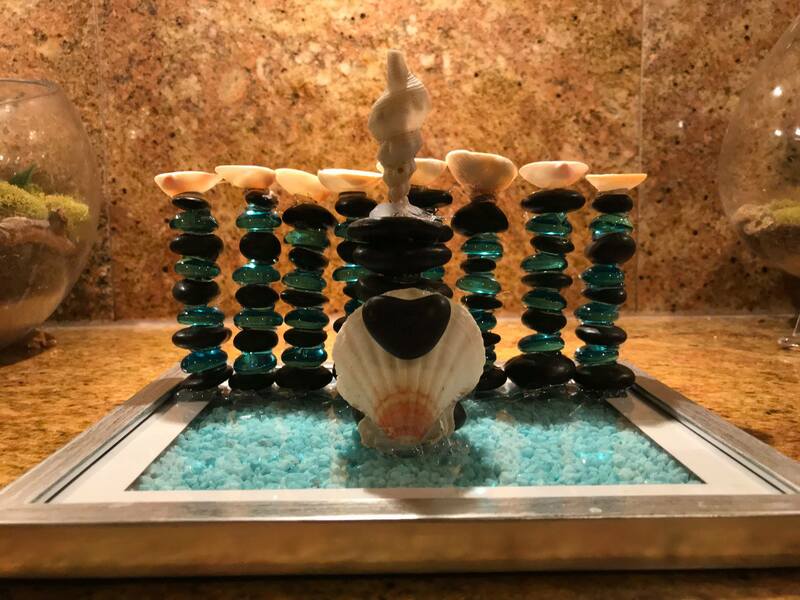 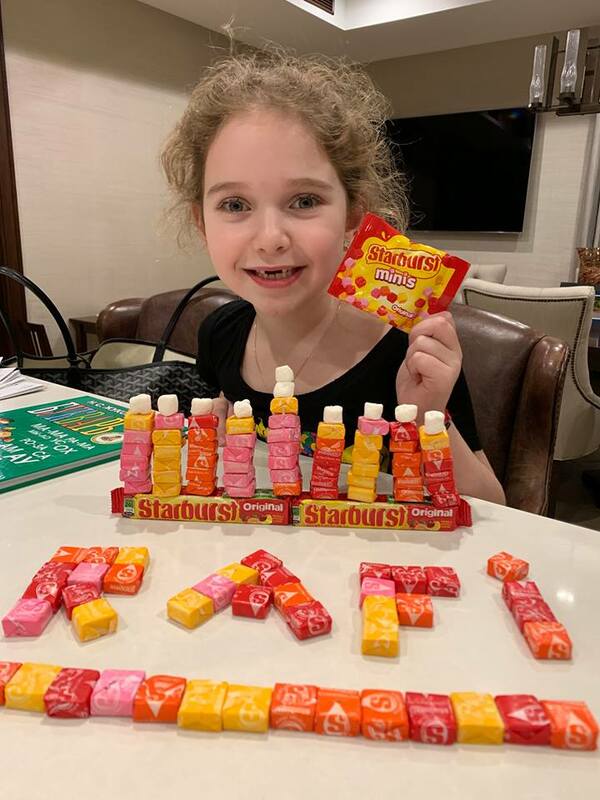 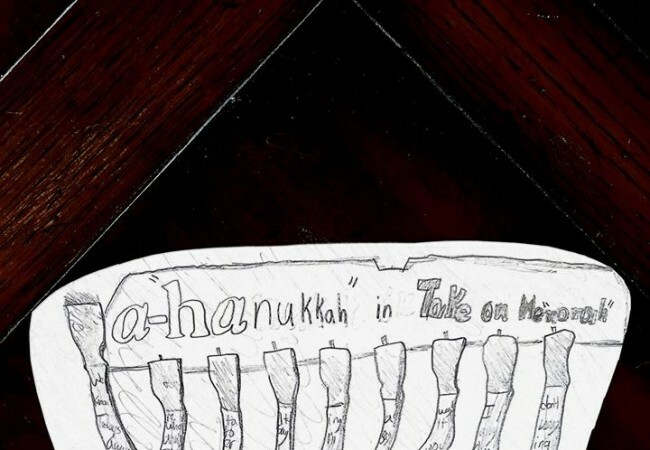 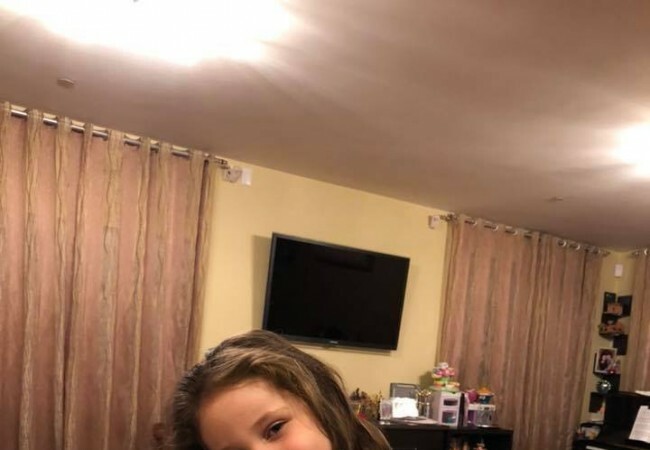 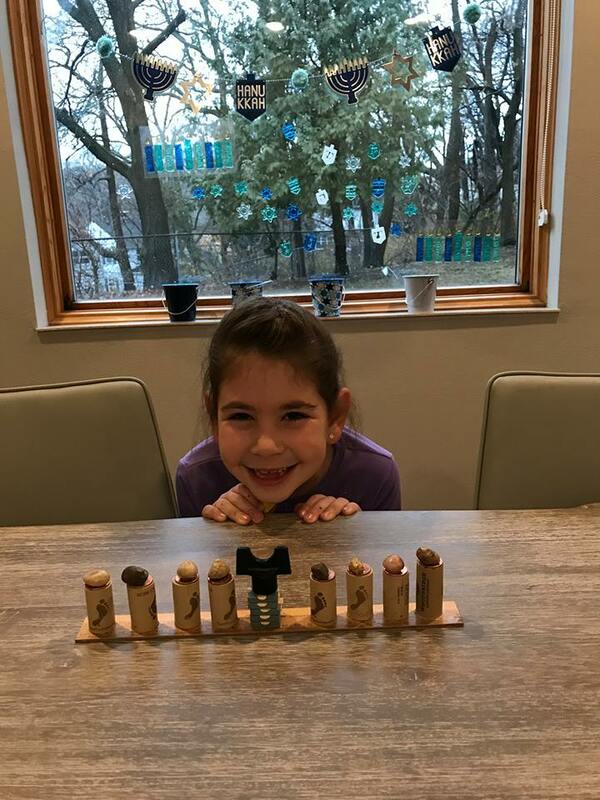 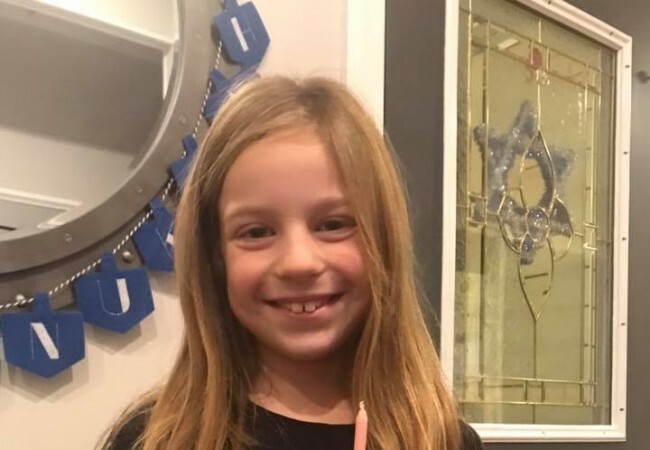 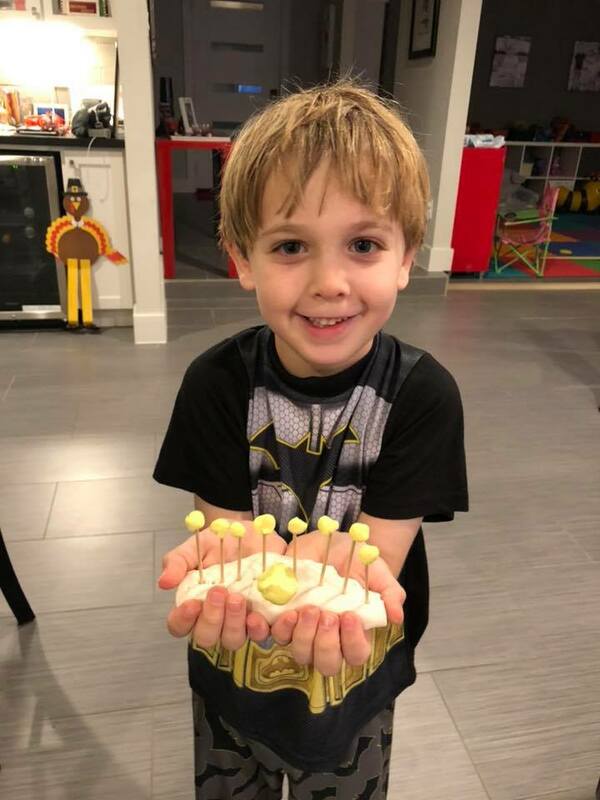 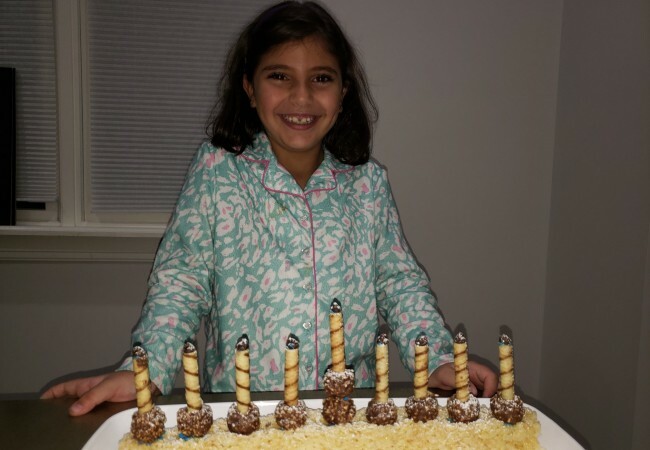 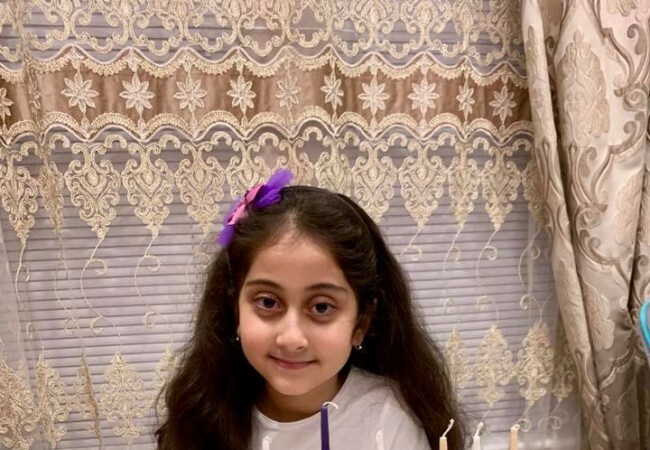 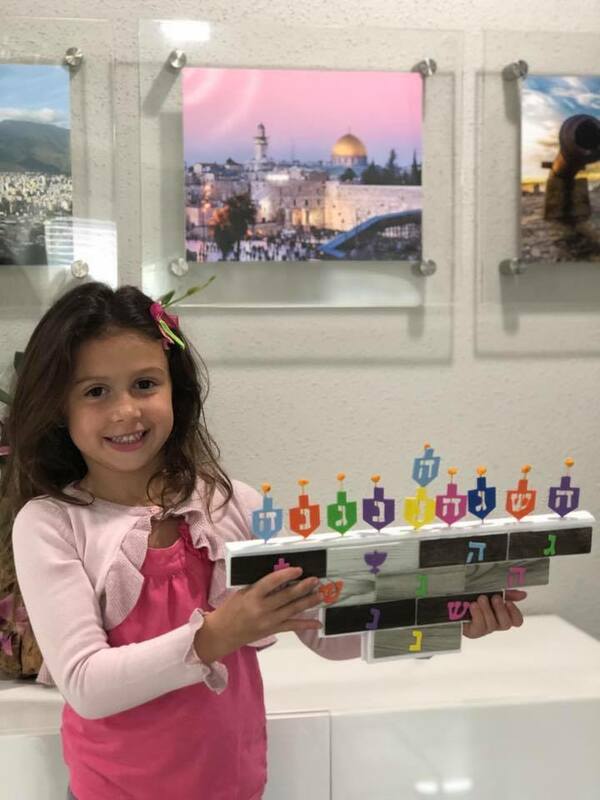 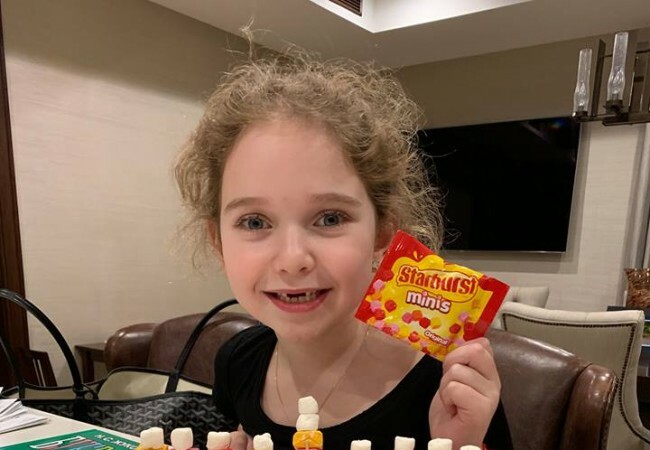 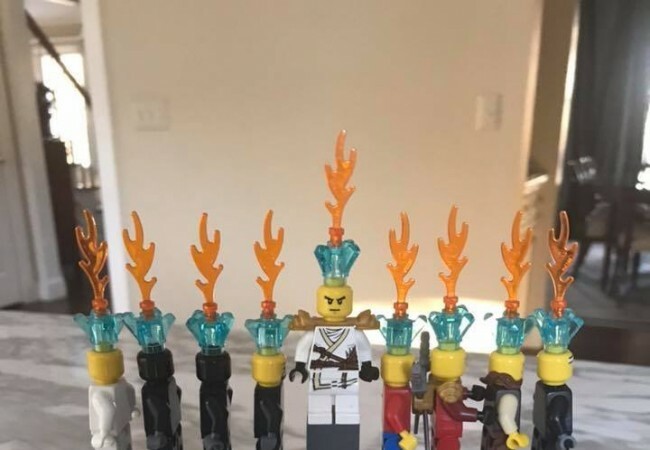 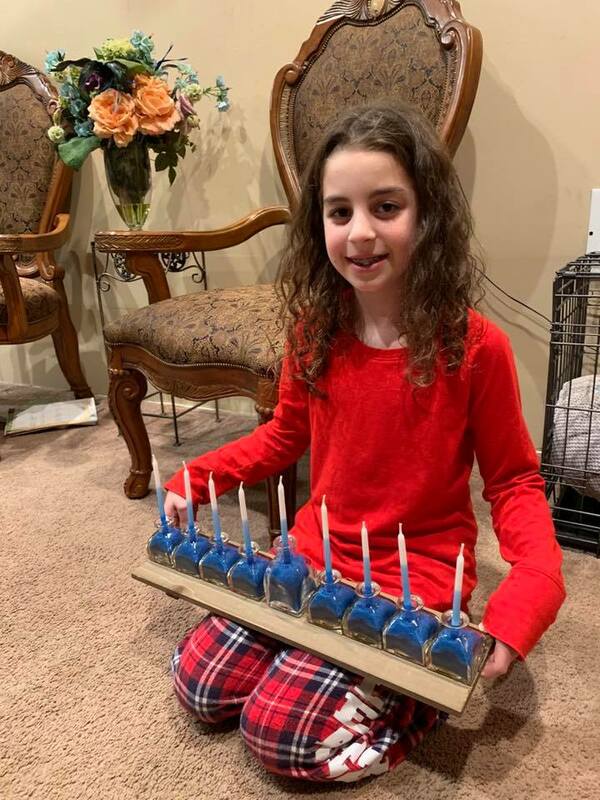 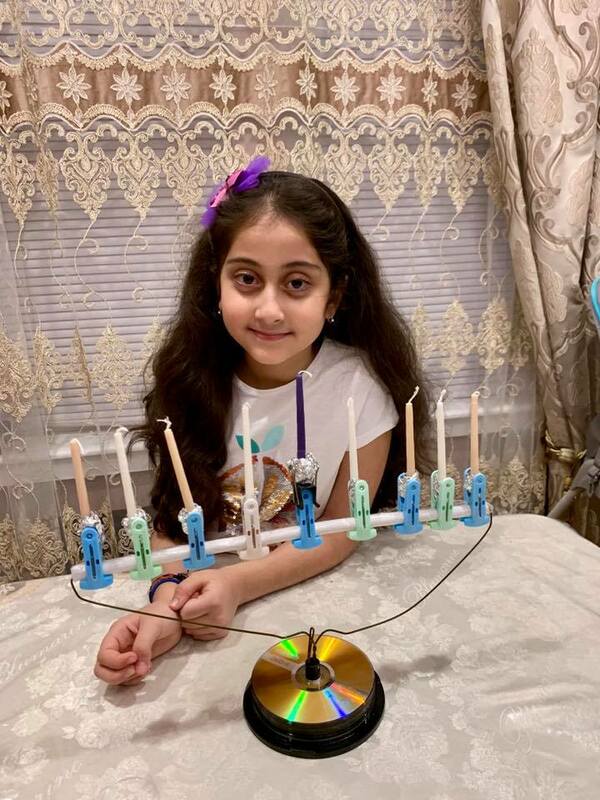 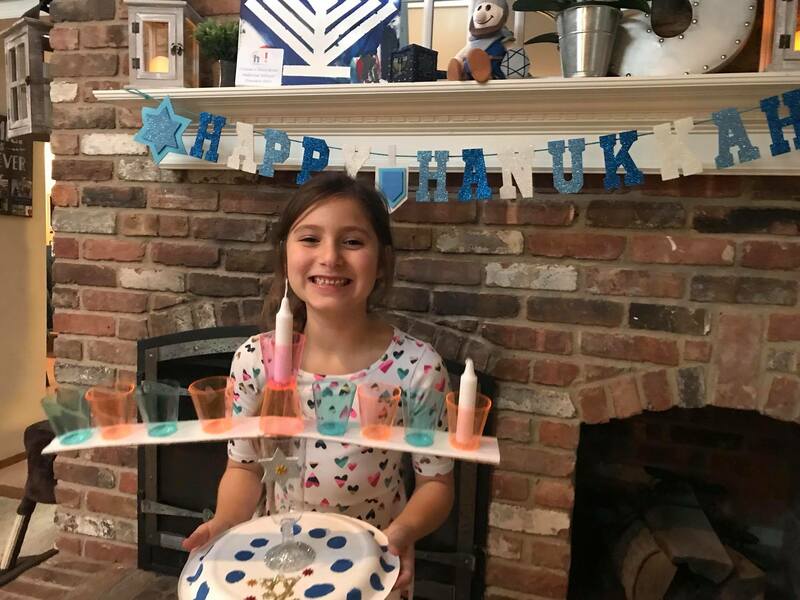 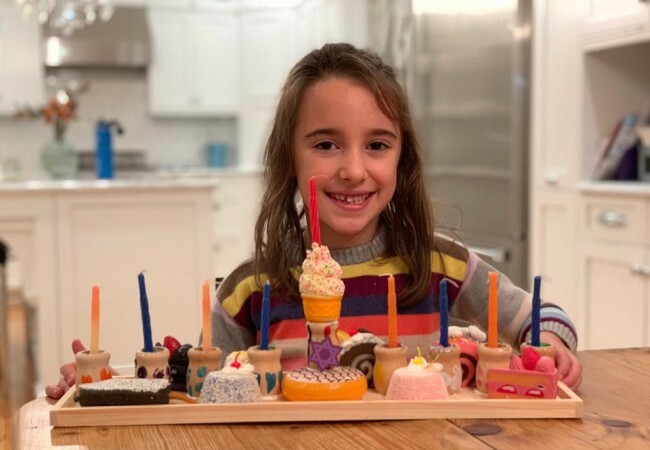 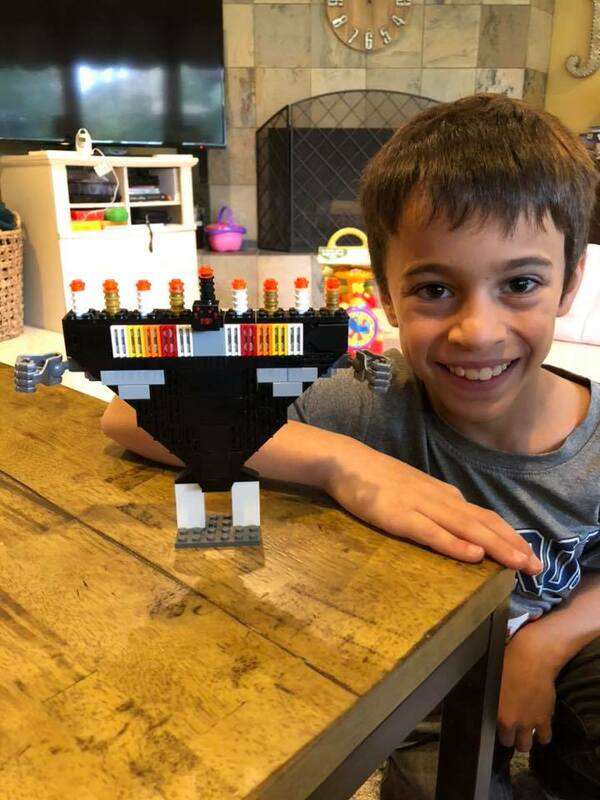 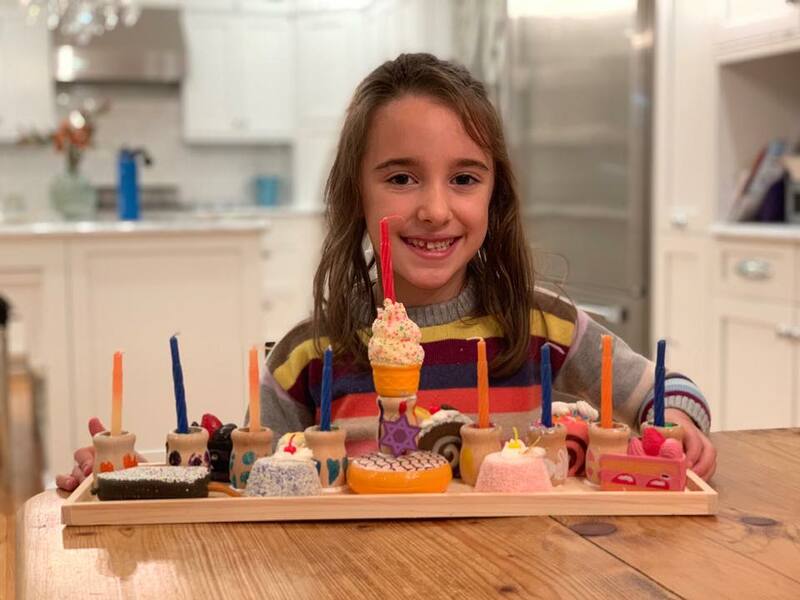 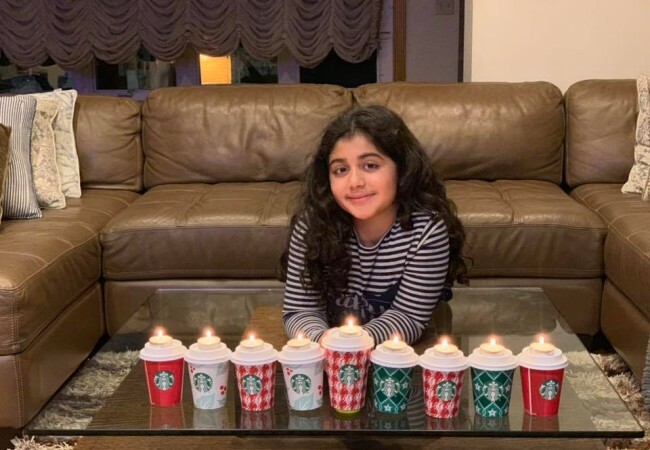 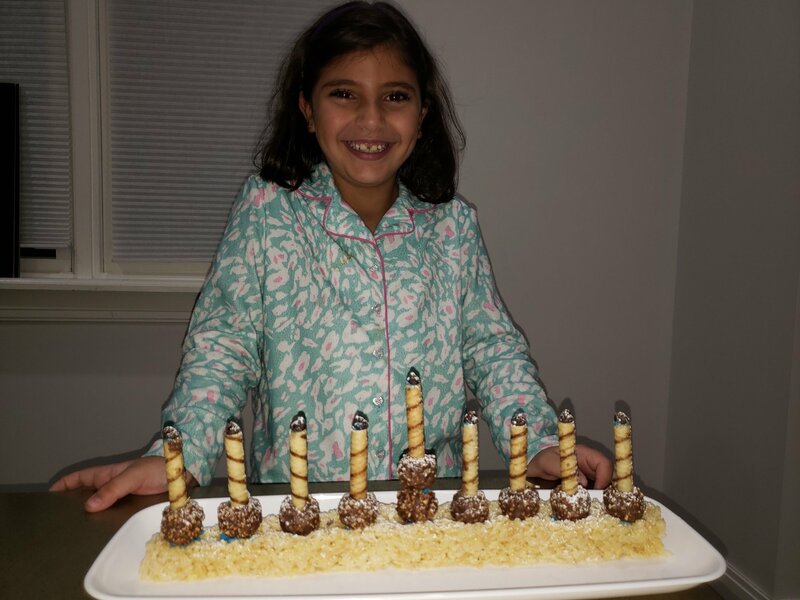 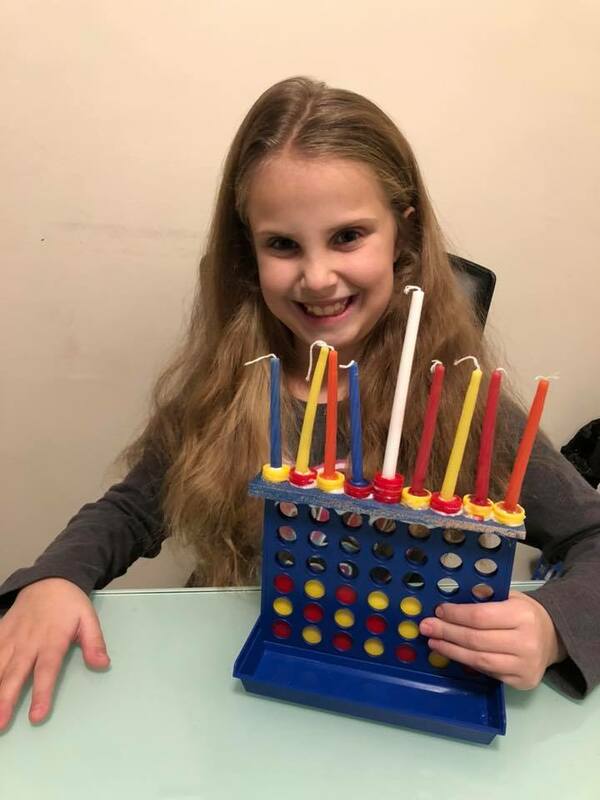 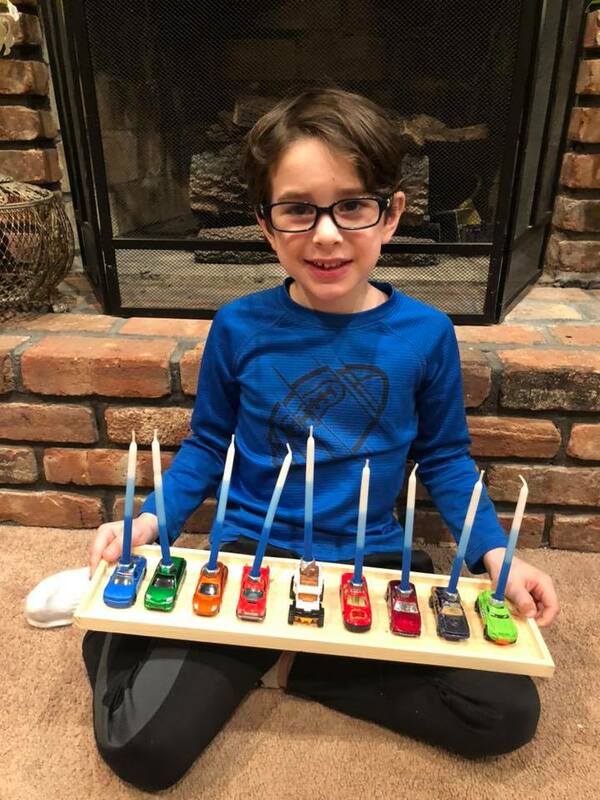 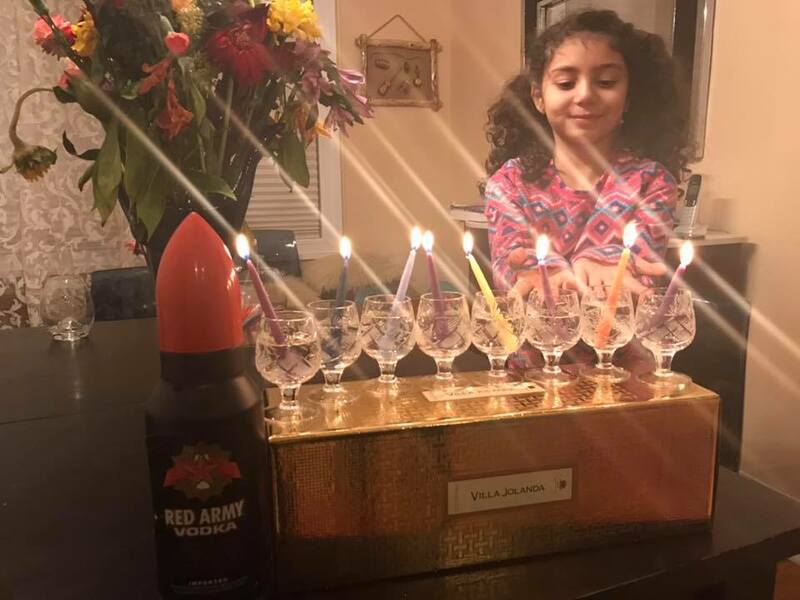 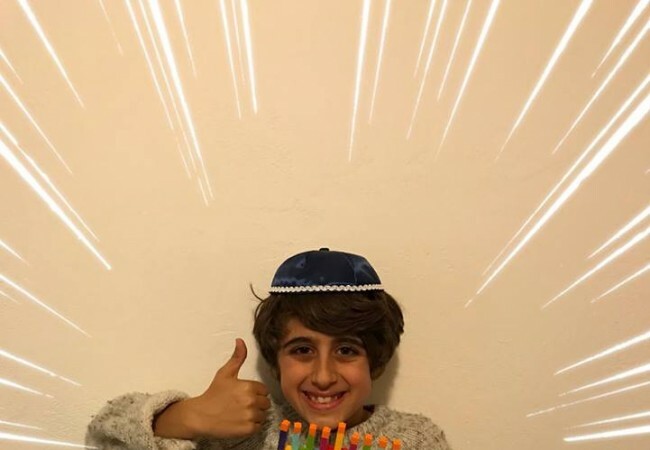 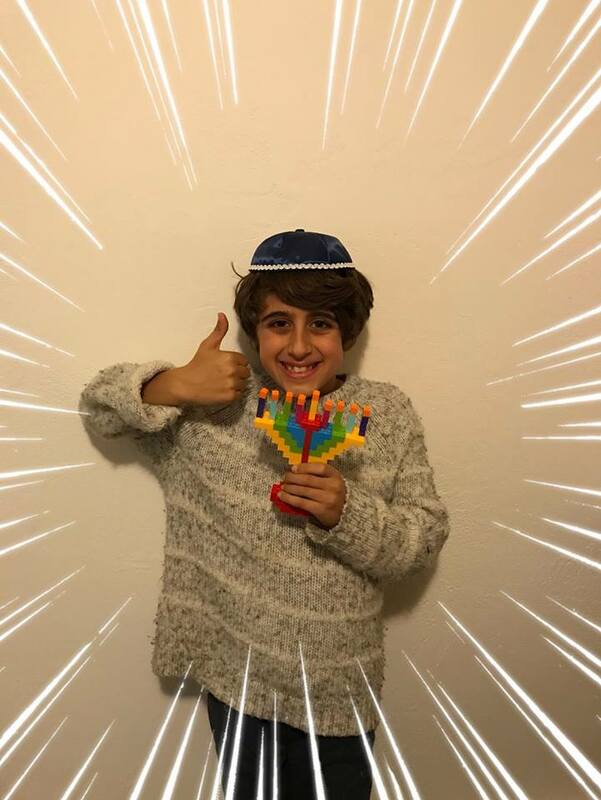 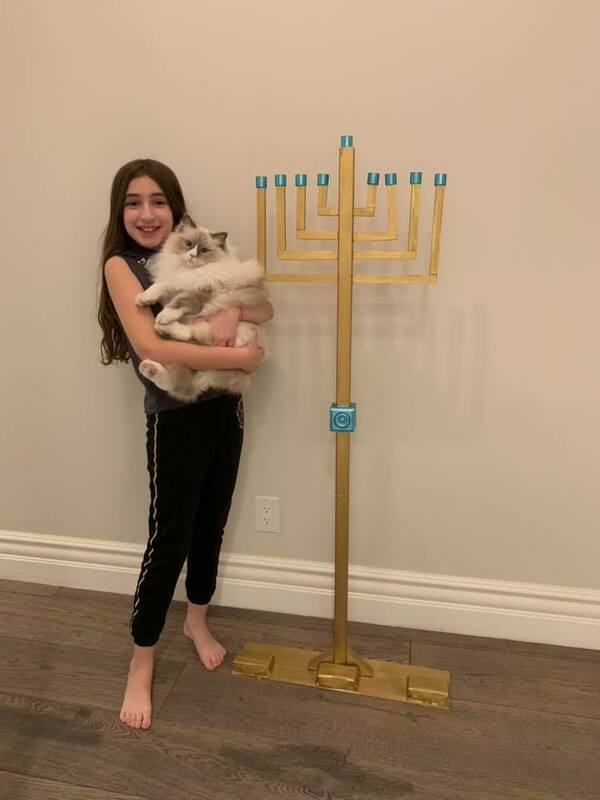 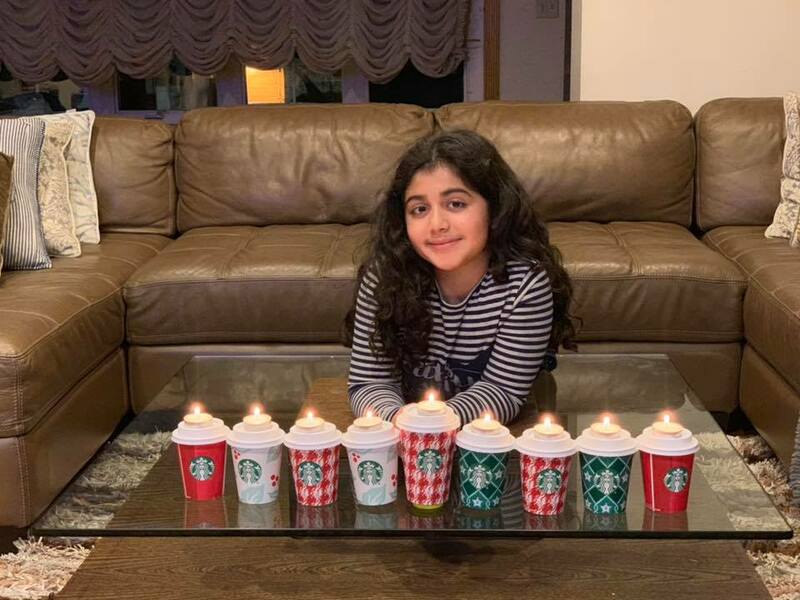 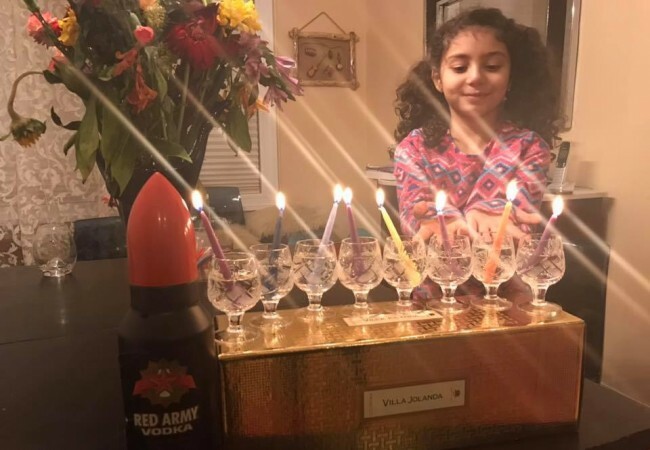 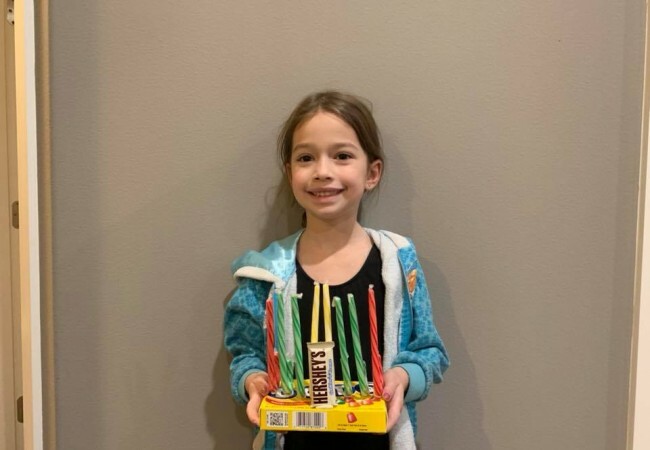 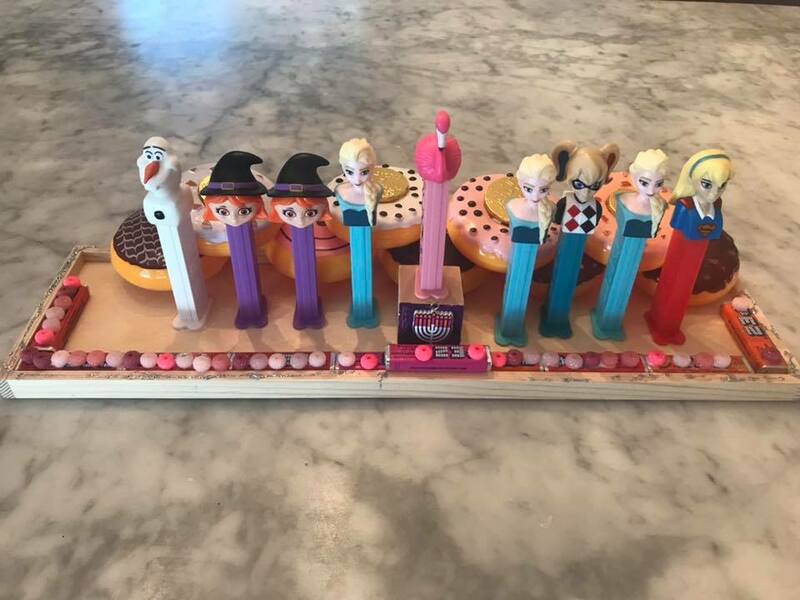 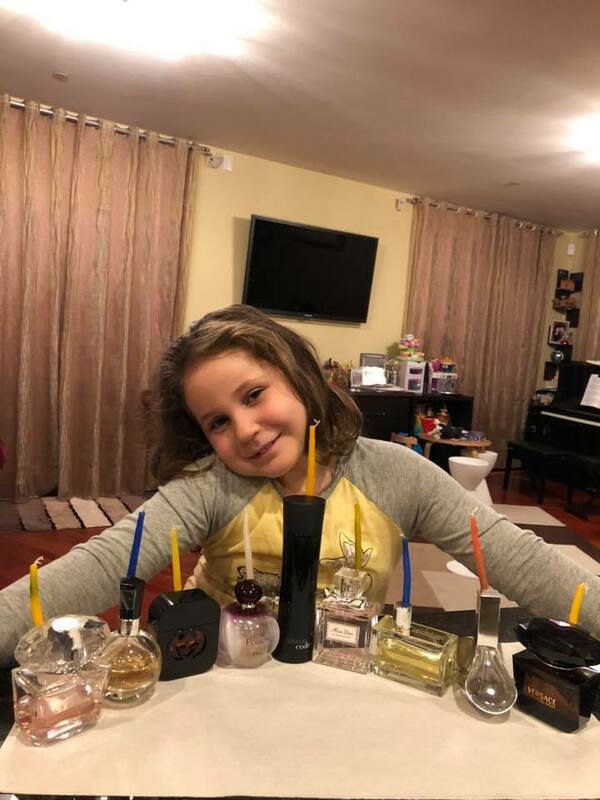 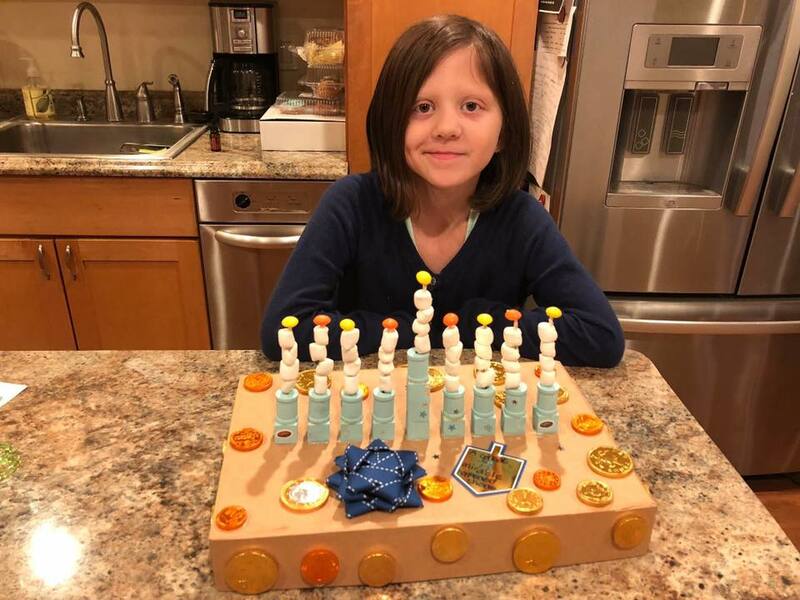 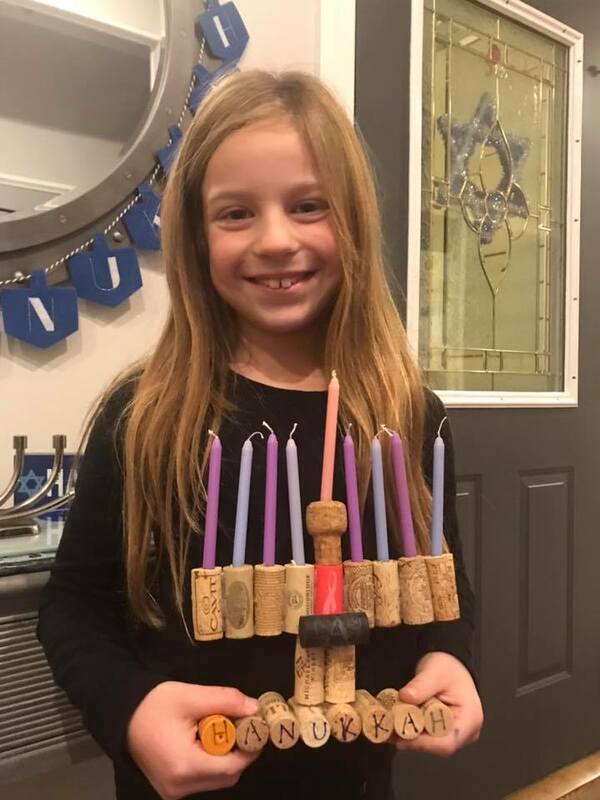 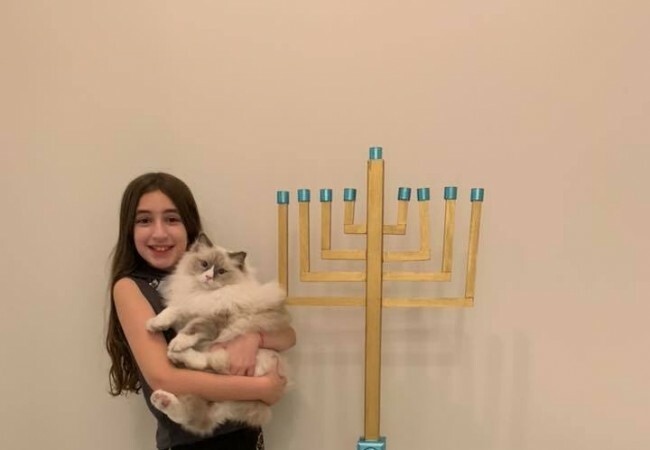 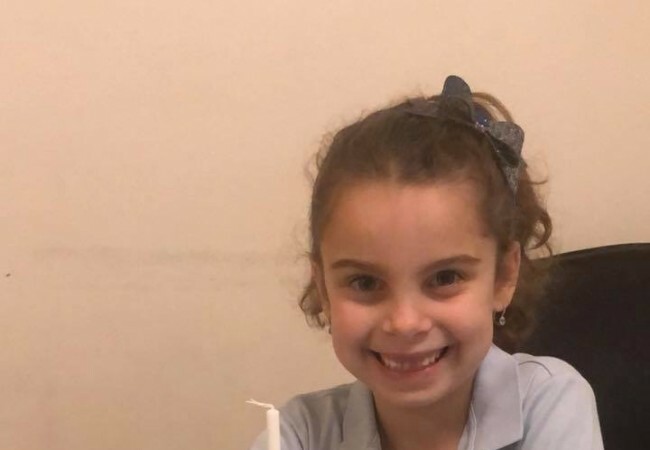 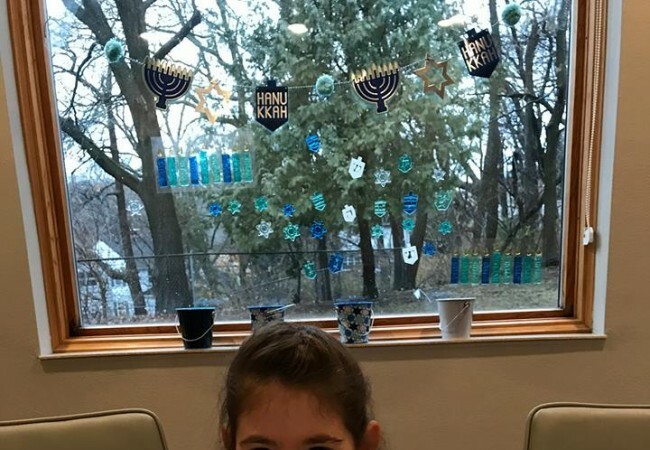 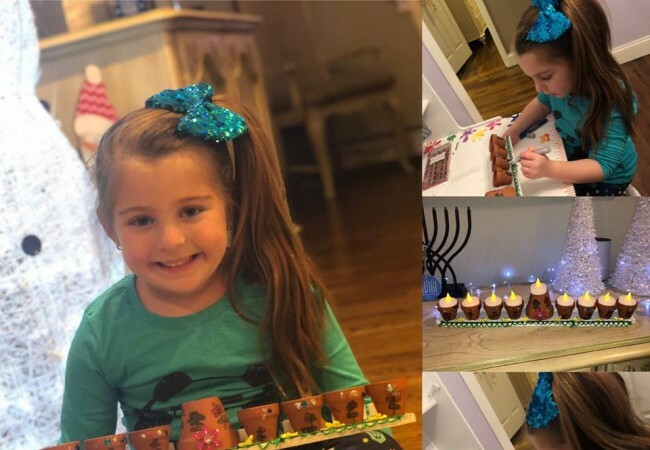 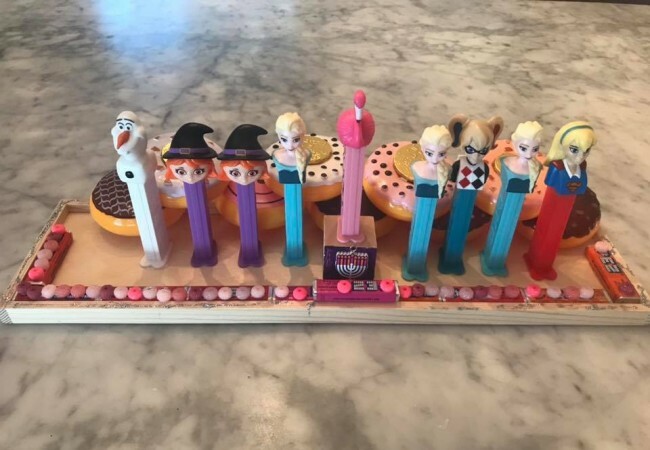 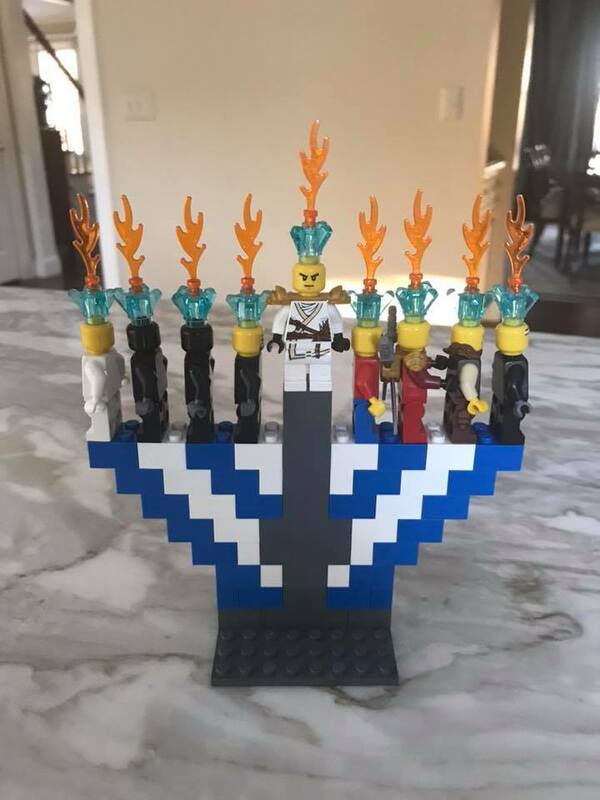 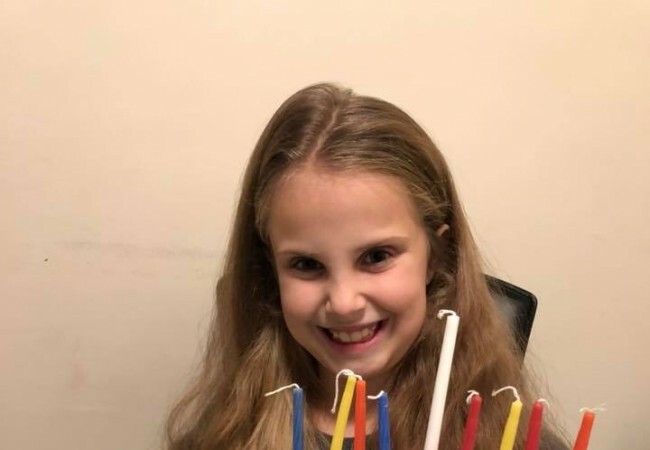 Aspiring winners sent in pictures of themselves with their menorah creations to a dedicated Facebook page along with the #ckidsmenorah hashtag. 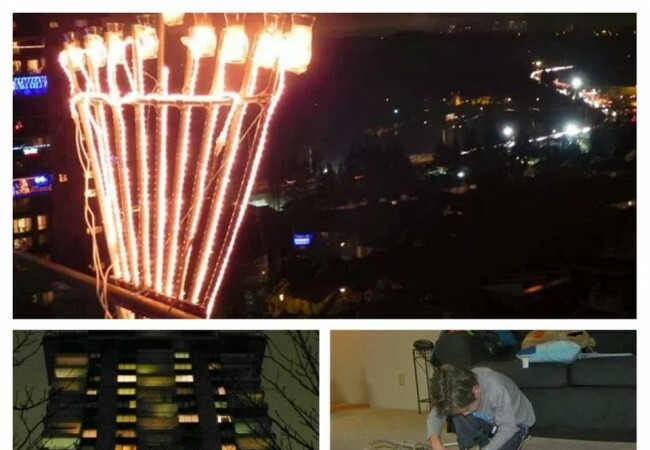 These posts were liked and shared by many, spreading the Chanukah joy around the world. 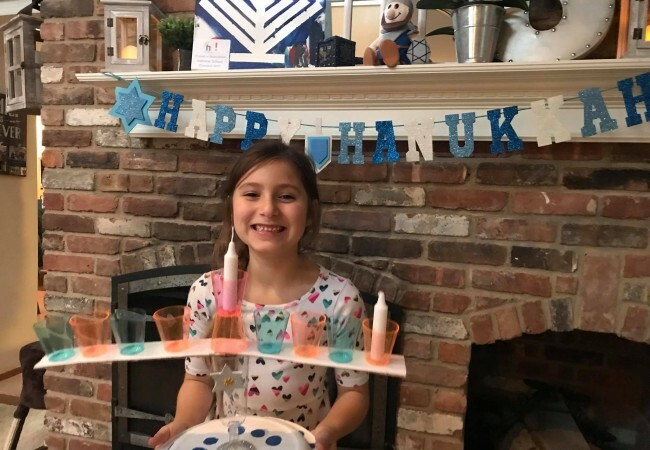 Some of the most innovative entries included menorahs made from flower pots, multi-colored Starbucks cups, or a coat hanger and clothes pegs. 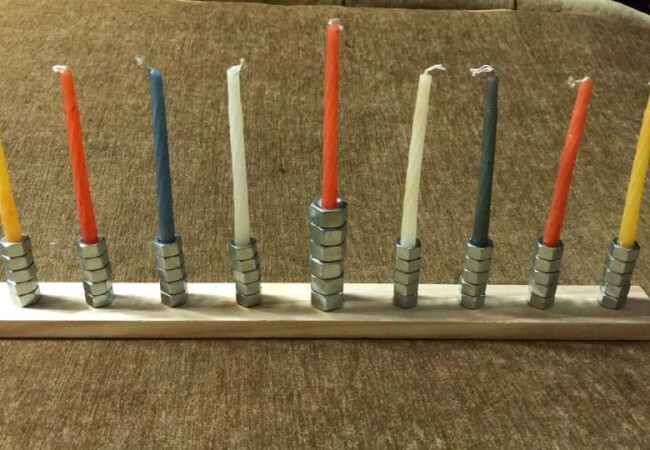 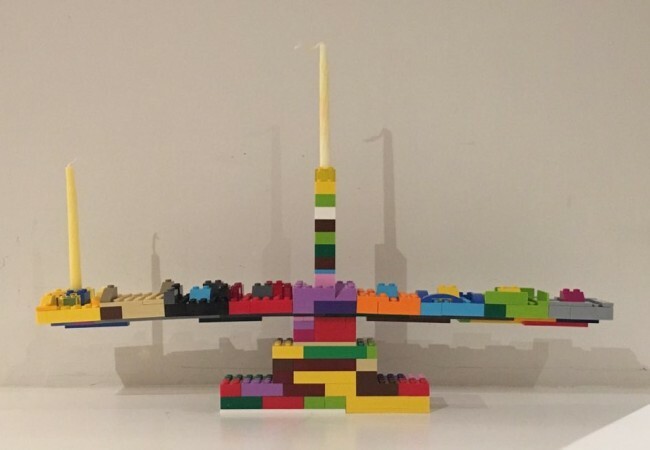 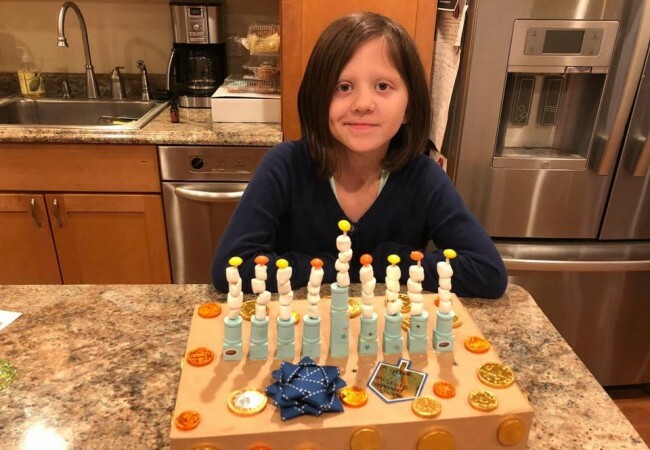 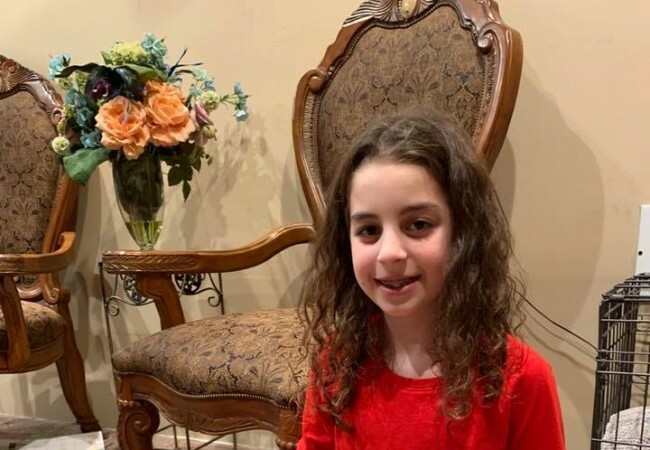 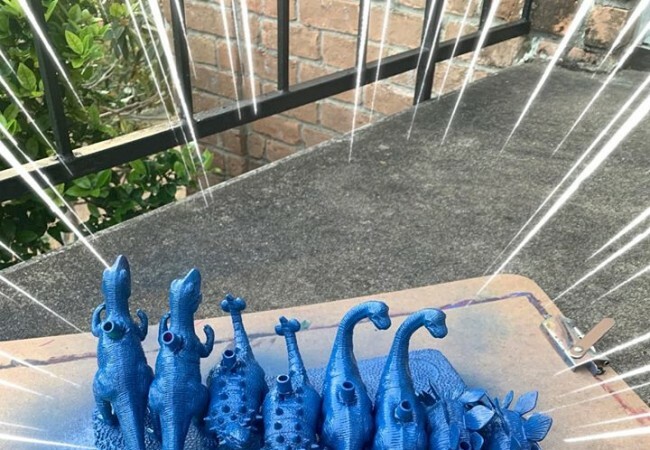 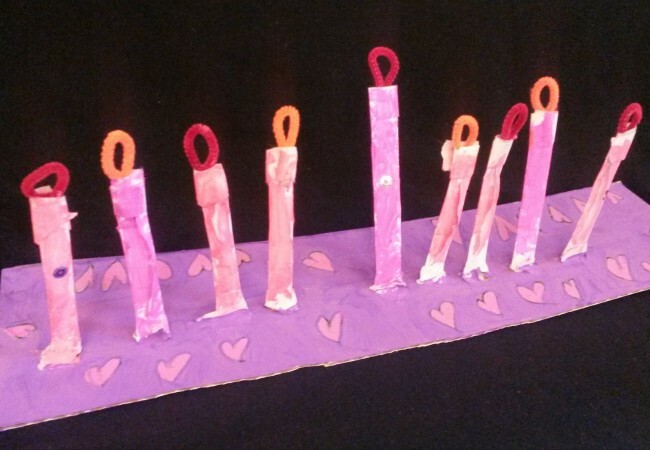 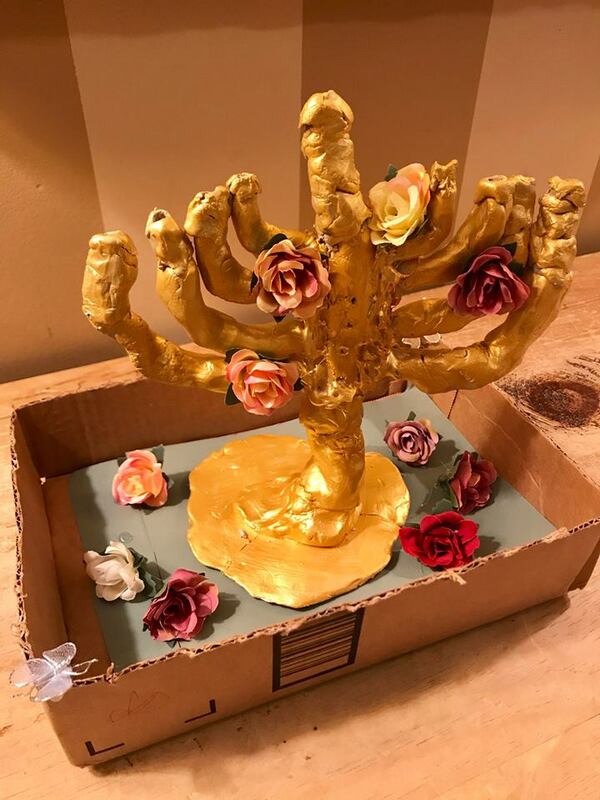 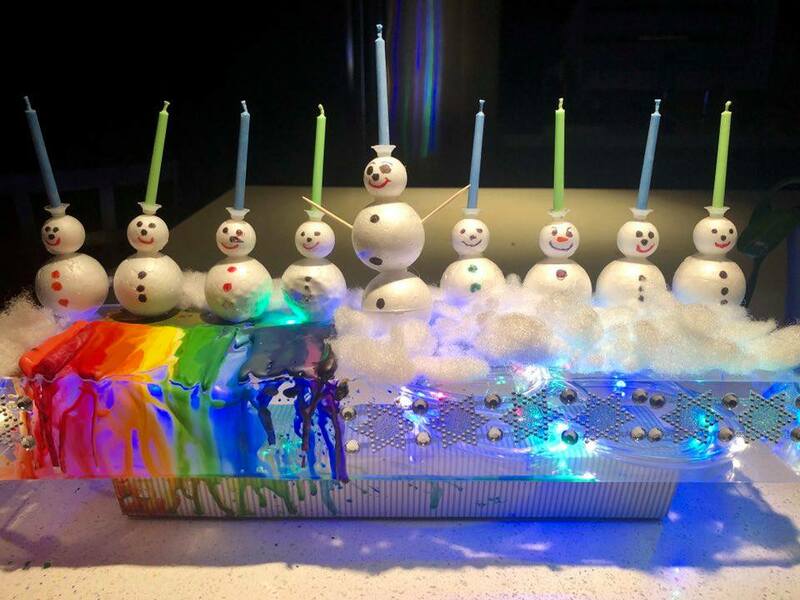 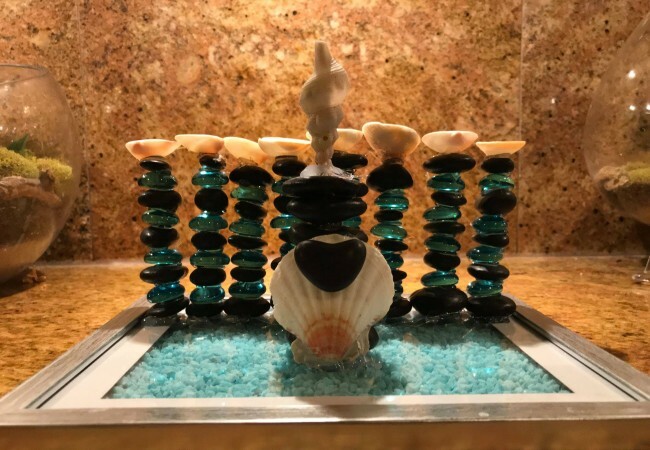 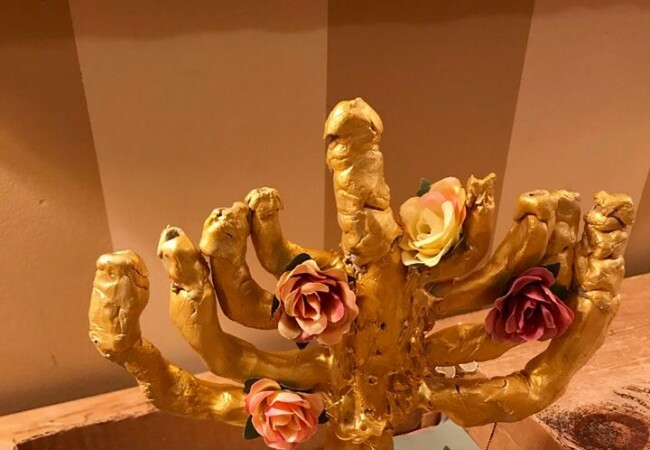 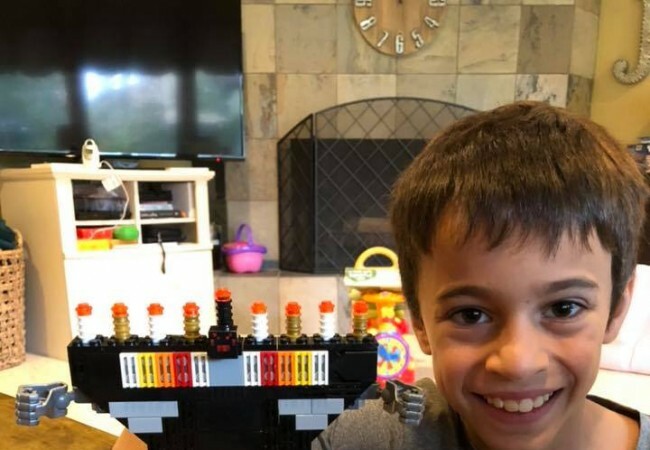 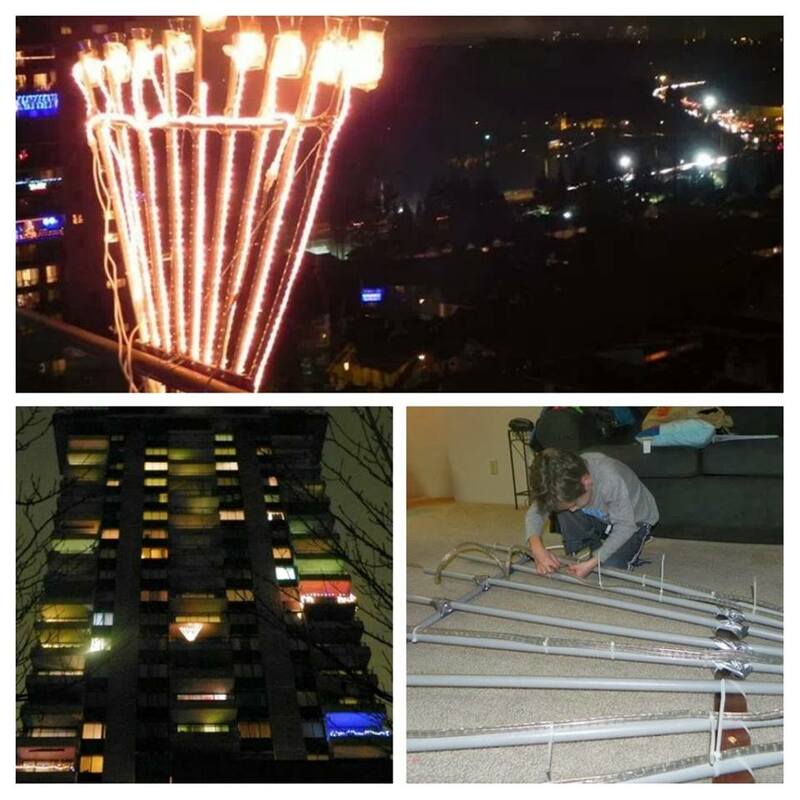 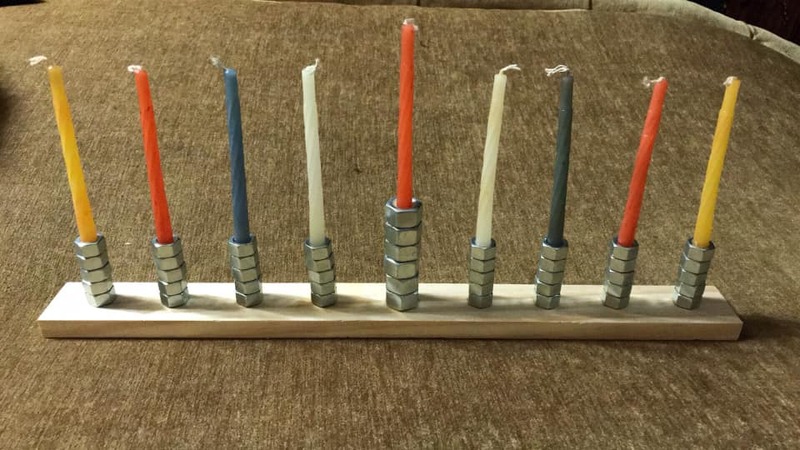 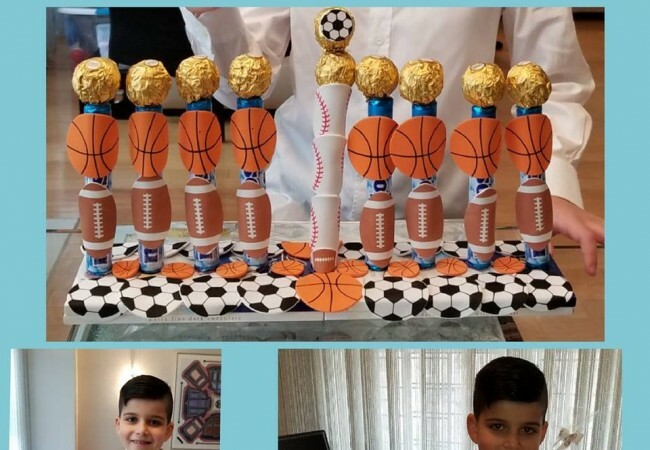 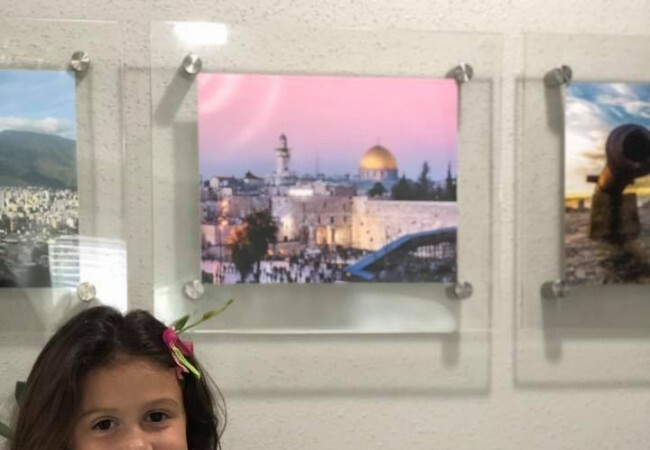 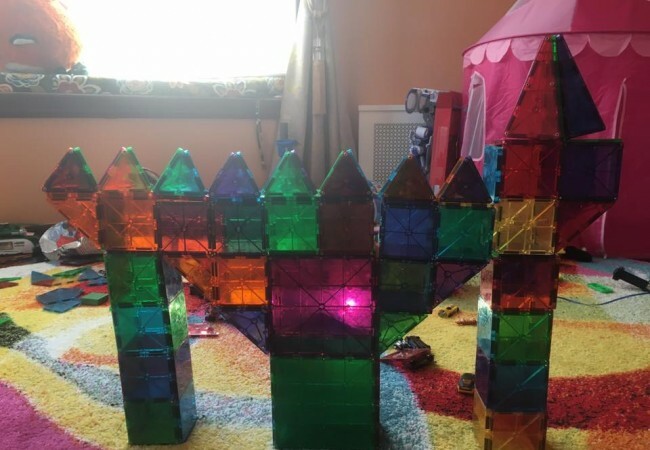 There are four winners of the Chabad Hebrew School International Menorah Contest: two with the most likes on their Facebook post, and two selected by a panel of judges. 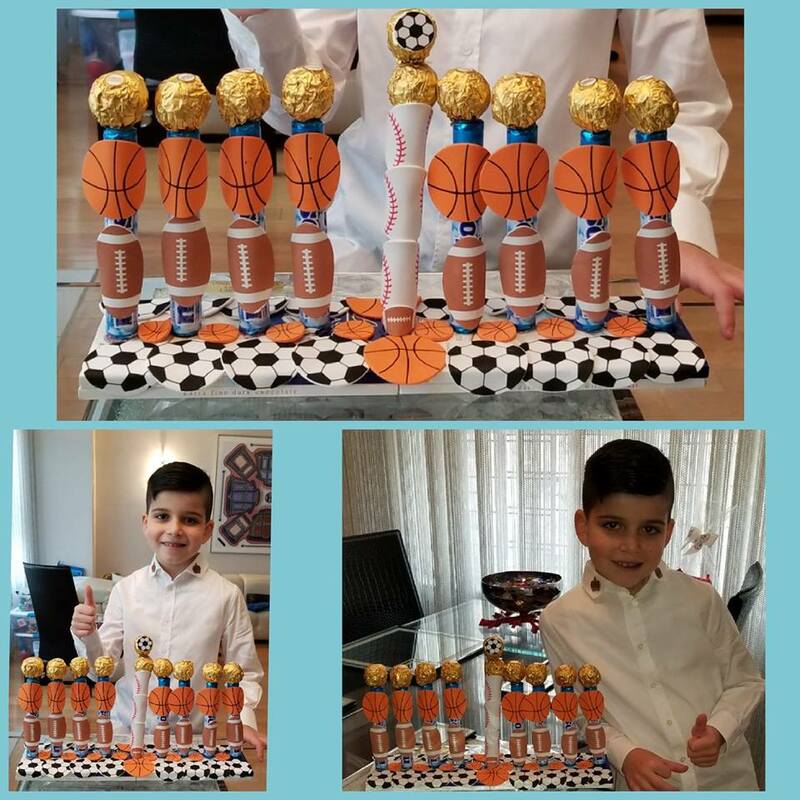 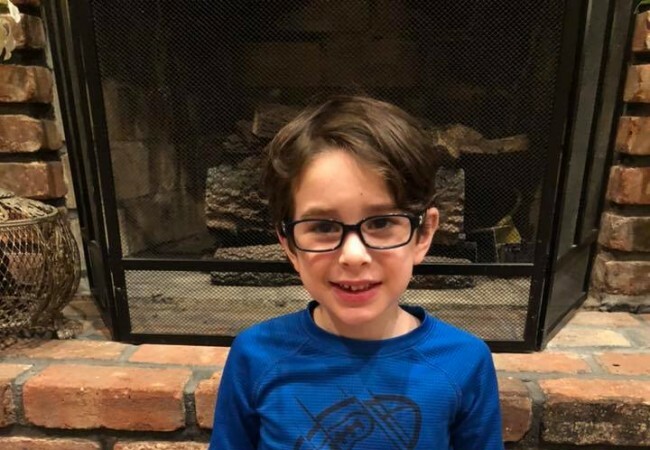 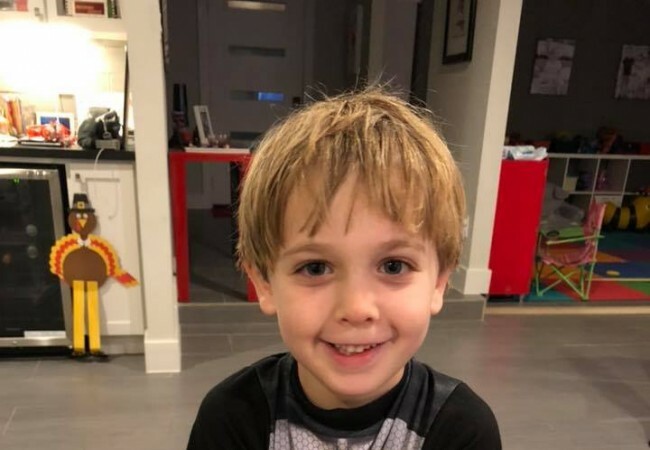 The judges of the contest, renowned artist Yitzchok Moully & CKids director Rabbi Zalman Loewenthal, selected two winners: Itamar Titievsky from Chabad of Richmond BC for his “giant LED Menorah” and Joshua Koyf from Mazel Day School for his “Seashell Menorah”. 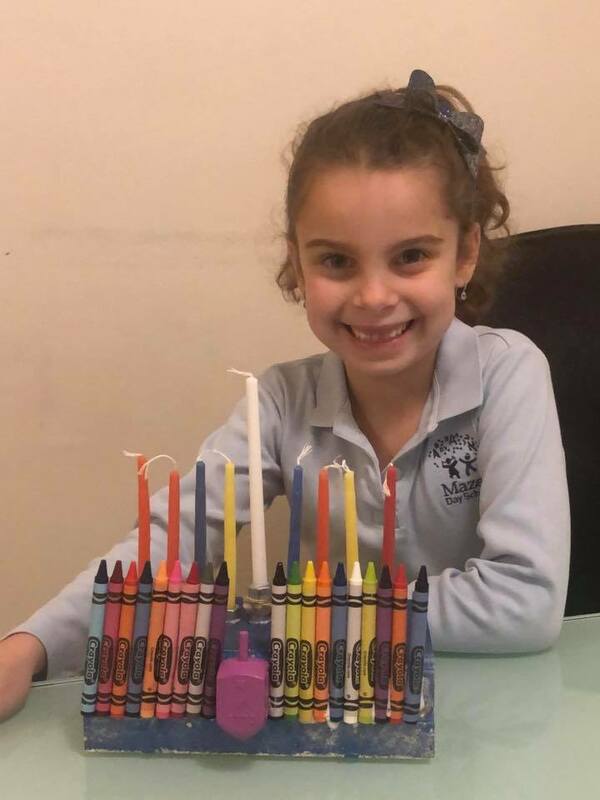 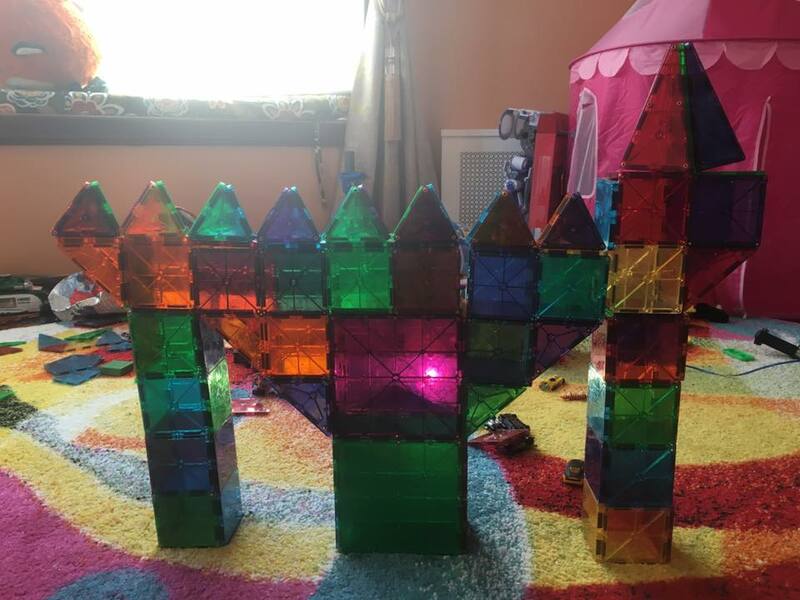 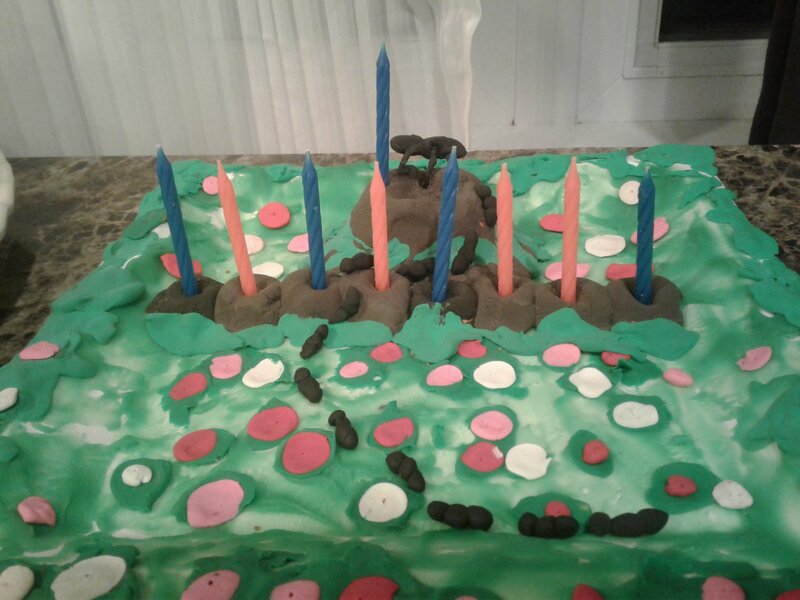 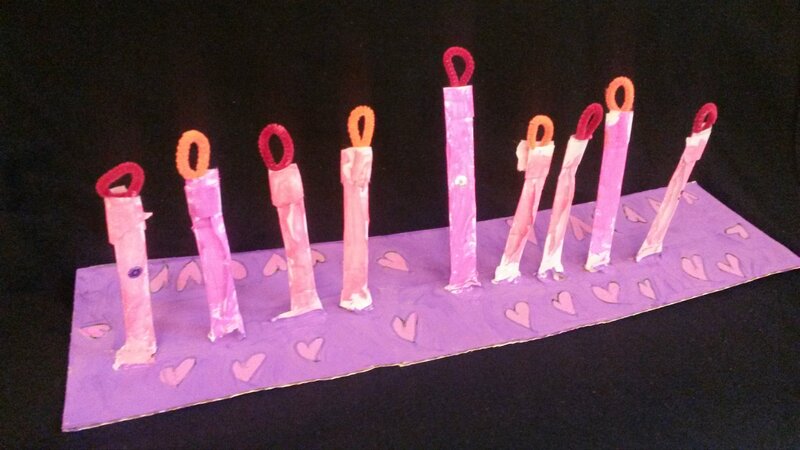 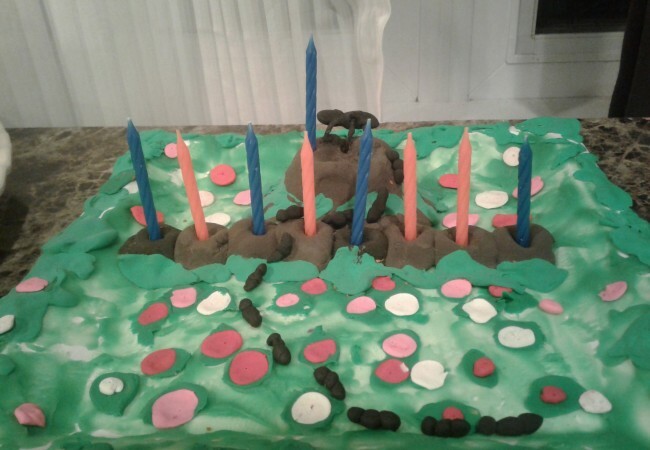 Ariella Roitman with her “Crayola Menorah” received over 500 likes! 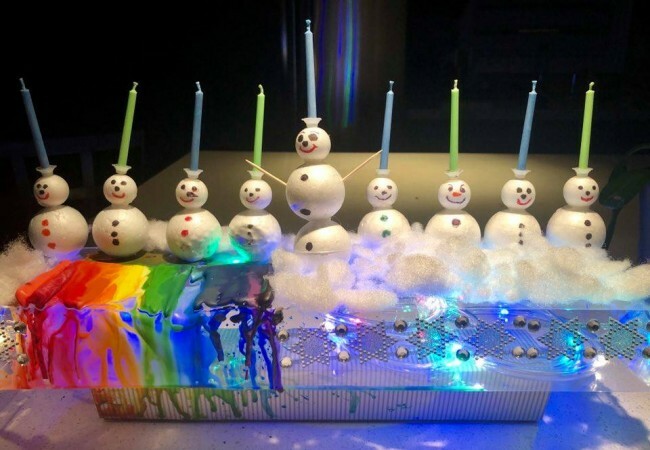 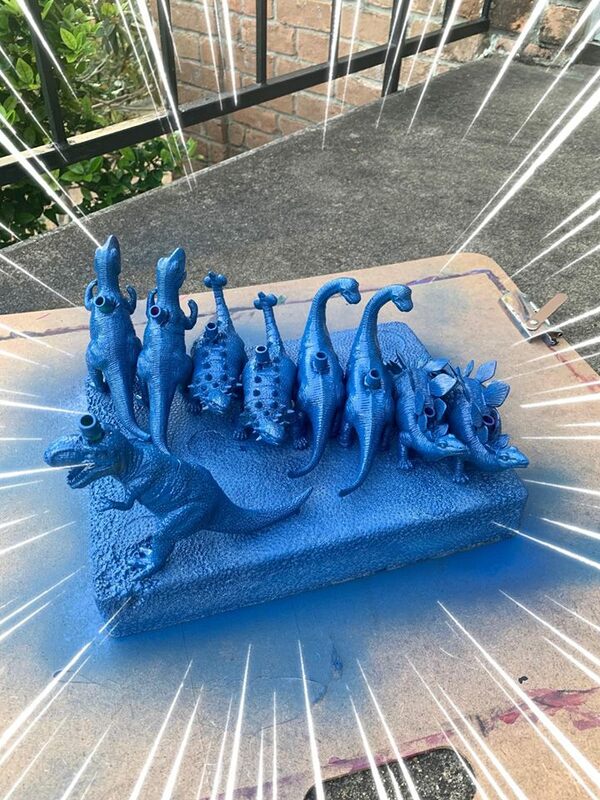 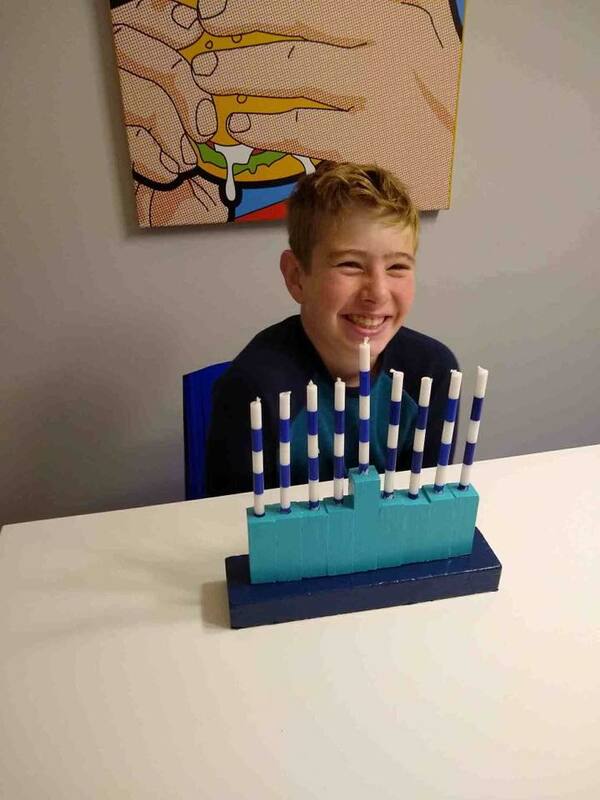 “It is such an honor to participate in this Menorah Competition. 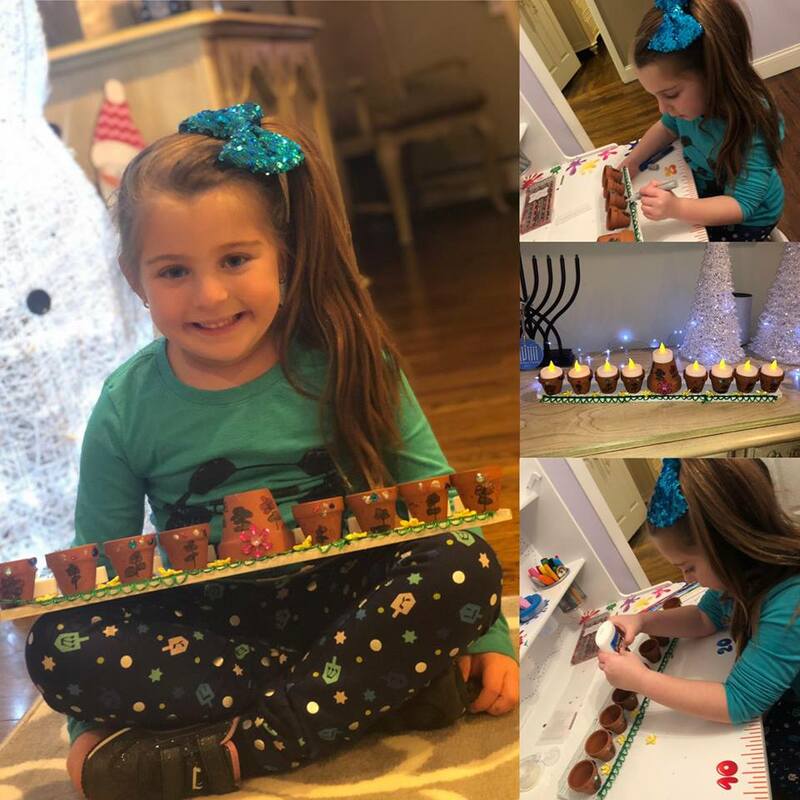 Seeing so much creativity coming together to create these beautiful menorahs is amazing! 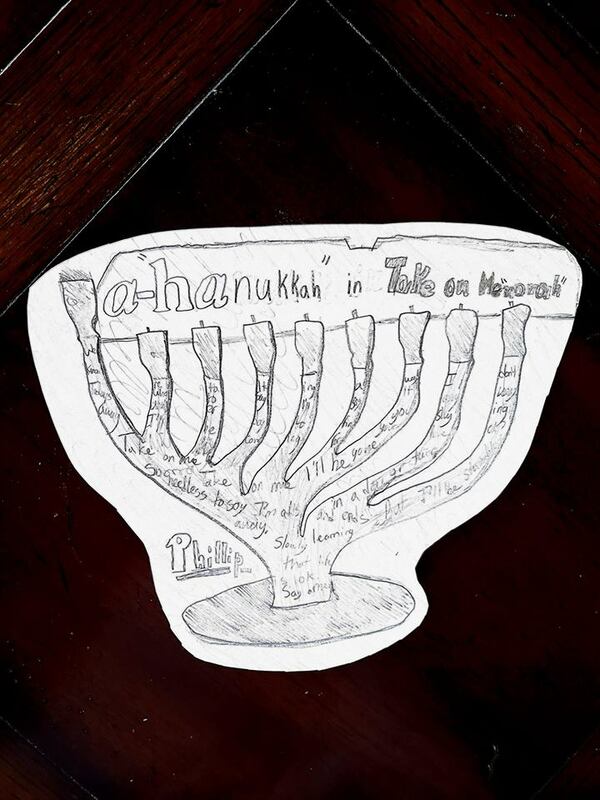 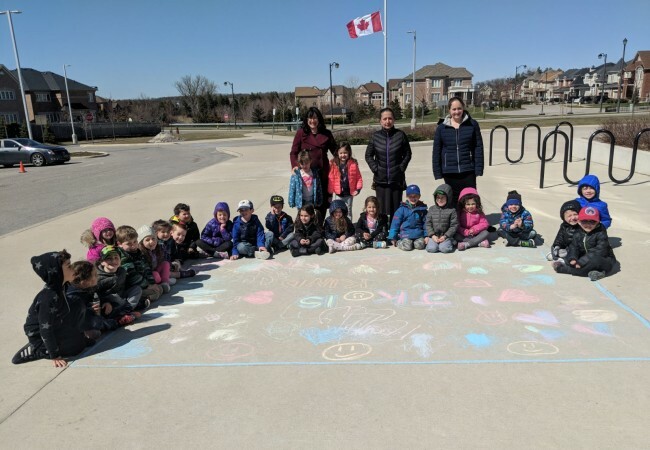 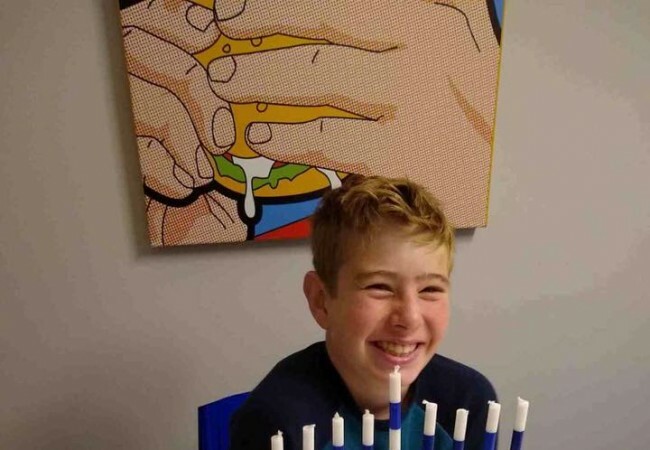 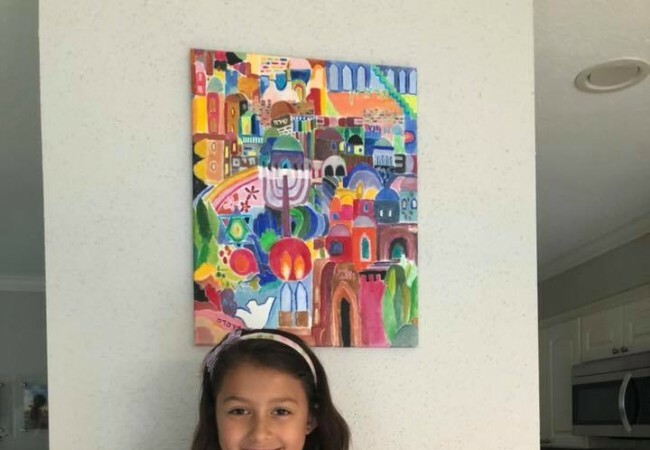 It is such a wonderful opportunity for children to express their Judaism in their own unique and creative ways. 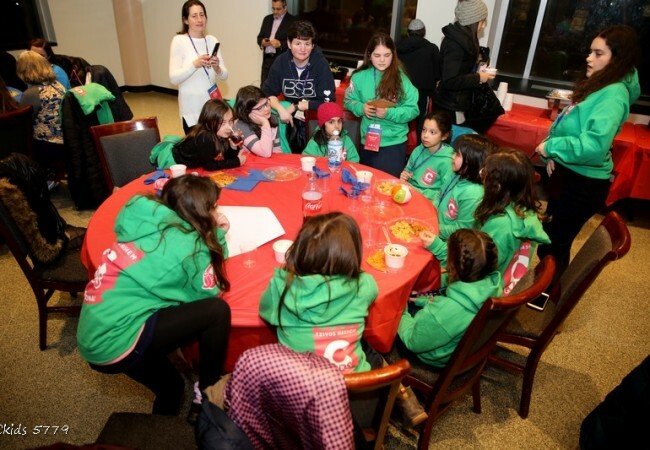 Thank you CKids for making this happen!” said Artist Yitzchok Moully. 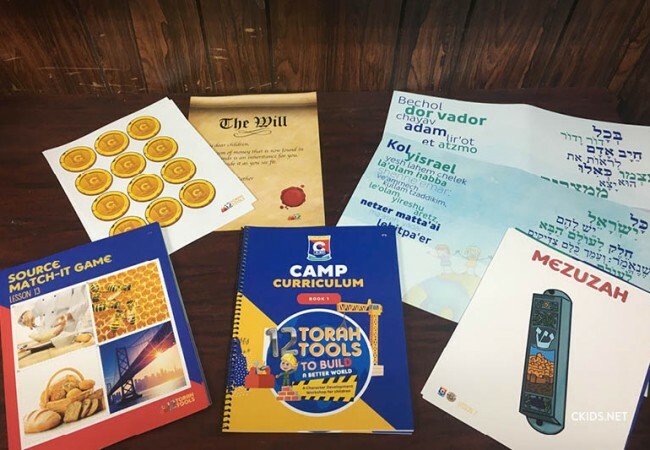 CKids, a branch of Merkos 302, thanks all Hebrew School kids who entered the competition, and congratulations to the winners!